The day a family member enters the hospital is the day the journey to recovery begins. It’s also the day to start planning for the trip back home. Returning home after surgery or a hospital stay may require some adjustments to be made in order to accommodate physical limitations and/or to facilitate the recovery process by making the home as convenient and comfortable as possible. If you think you’ll need to make modifications around the house, or have extra assistance, don’t wait until you’re home to start planning. Unrealistic expectations about being able to return to life as normal can lead to disappointment and frustration. 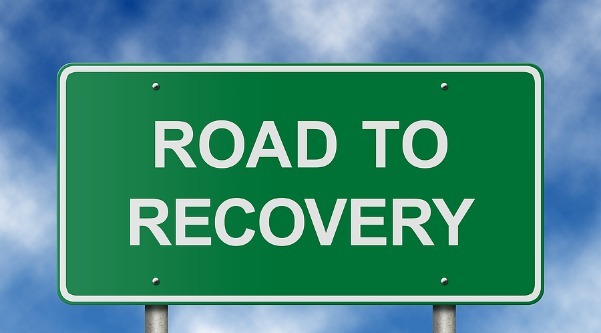 Recovery can take time, and in some cases, you may need to get extra assistance. It’s a good idea to stock up on essentials such as food, toiletries, paper products, cleaning supplies, and medical supplies. This ensures that you have everything necessary on hand and reduces the need for last minute runs to the store. Think about the items your loved one may need throughout the day…a drinking glass, a book to read, the TV remote, a phone, any medication they are taking, or their walker. Ensuring these frequently used items are within their reach can provide a bit of independence and comfort to your recovering loved one. It’s also helpful to stay organized and to know where to find things quickly, such as medical information or other important documents. Some people are embarrassed about needing assistance after transitioning home and some family caregivers think they can take care of their loved one all on their own, but quickly discover that caring for their loved one is a full-time job! It’s important to be realistic about the level of care that will be required, and it’s ok to have extra help. Getting help isn’t a sign of weakness, but one of strength and care. This is where Better At Home, LLC can make all the difference, both in the patient’s optimal recovery and the well-being of family caregivers. Our experienced staff can provide assistance with personal care and hygiene, housekeeping, meal preparation and respite for family members. Contact us today to begin planning your loved one’s road to recovery.